Thanks to Transitions Film Festival, to WIN FREE TICKETS to Ranger To Ranger, see below. 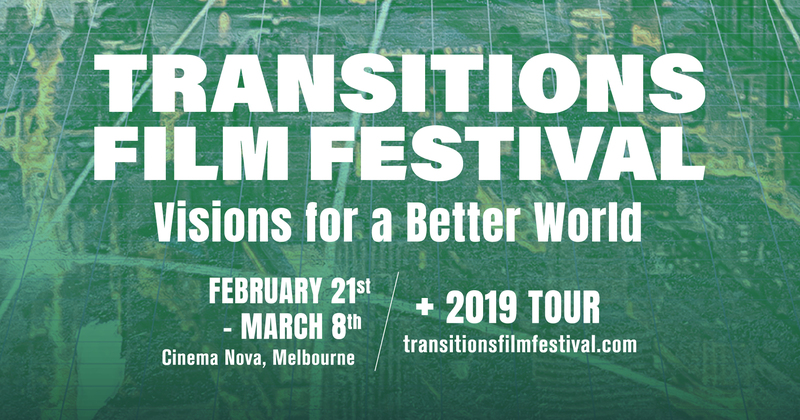 Each year, Transitions Film Festival returns to keep us updated about the creative innovations that are taking place globally. Cutting edge ideas for a better world are out there, and leading the way are individuals and organisations committed to changing the status quo of the predicament we're in. Globally we are not separated from each other. Everything that happens affects us all. We need to make changes together, towards a sustainable civilisation. The Melbourne leg of the festival runs from 21 Feb to 8 Mar 2019, with all films screening at Cinema Nova, 380 Lygon St, Carlton. Be inspired and informed about what's happening around the world, and the changes being made globally and locally. The Aussies are right there, amongst the groundbreaking documentaries of social and technological innovations and revolutionary ideas. Australian films on show are as follows. 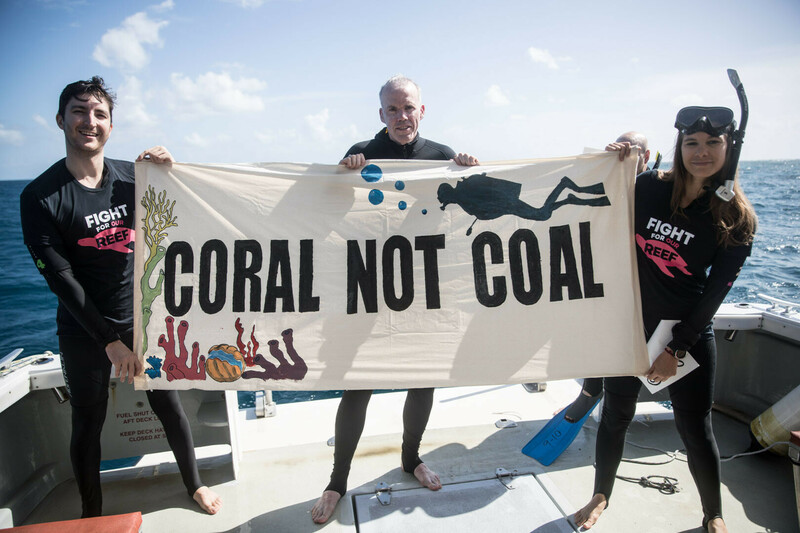 Travel with Bill McKibben, American environmentalist, author and journalist on his Australian tour, to the world's biggest coal port in Newcastle, and his diving ventures in a seriously degraded Great Barrier Reef. This Australia-focussed film shows what you can do to push for a fast and fair transition to 100% renewable energy. Bill passionately attempts to inspire government, business and community to accelerate action on climate change. This is a film to share within our communities to inspire solidarity and empower action. A self-taught filmmaker from Melbourne, Steve Young has produced his first feature documentary because he believes that great stories have the power to heal, liberate, educate and entertain. For his story, he lived with Australian endurance athlete and passionate social advocate Samantha Gash in a campervan for 77 days as she travelled on foot across India over a painful and perilous 3200kms. In a country with complex social issues, Samantha explores what's stopping children in India from accessing good education, and also shares success stories that provide hope for their future. The Latrobe Valley in Victoria, Australia is the power generation hub that has been providing up to 70%-80% of the state's power since the 1920s. This raw and unfiltered documentary traces its history for the first time, and the devastating socio-economic impact its had on the community. A community that was forced to survive through toxic ash and carbon monoxide during the Hazelwood brown coal mine's fire that burnt uncontrollably for 45 days. There were appalling health outcomes and the community has shown that the human spirit shines through with determination and motivation to achieve a remarkable result in the fight for a sustainable future. 'Ubuntu', I am who I am because of who we all are. There's a lot of depth to that South African philosophy that inspired this documentary. It's about people connecting with people, and here you'll hear stories that may not usually be told, from people who may not usually have the opportunity to be heard. Anna and Tom Davies set off on a journey around the world, meeting and connecting with different people from different backgrounds. On a mission to capture the sense of a shared humanity through sharing stories from individuals around the globe, they came to realise that despite our differences we are all connected by the same human experiences we have. Meet the interviewees from Asia to Africa, the Middle East, Europe, South and North America; 17 different countries across 5 continents. Director Mark Halliday is a born storyteller. The unimaginable slaughter currently taking place in Africa in the rhino poaching war has caught his attention. Desperate to help save these beautiful animals, he connected with Ray Dearlove, the founder of the Australian Rhino Project. This debut feature-length documentary is an honest depiction of an ongoing battle. Following some of the last remaining, protected rhinoceros in Kruger National Park, South Africa, meet people who risk their lives every day to protect this collapsing species that are valued for their horns as a symbol of wealth by the Asian business elites. Follow those who are working at removing the hunting incentive for poachers. Thanks to Transitions Film Festival, here's your chance to WIN FREE TICKETS to Ranger To Ranger (below). 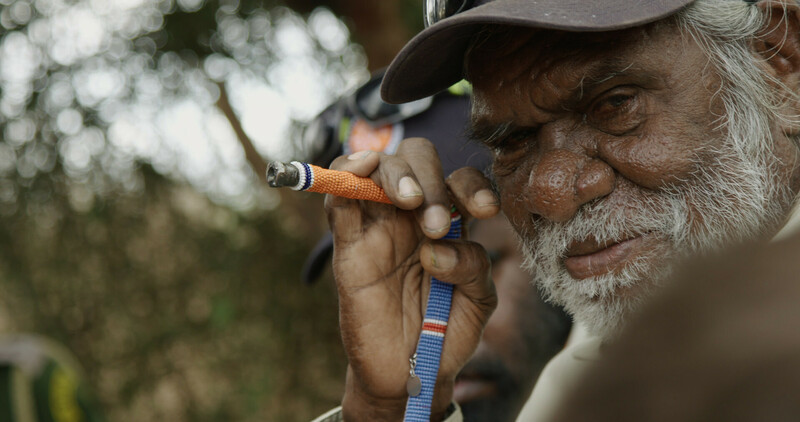 A heart-warming documentary following the epic journey of 9 Indigenous Australian Rangers and acclaimed Indigenous musician Dan Sultan as they travel to Kenya, Africa; sharing knowledge, culture and music with a tribe of Maasai Community Rangers. This Indigenous Ranger Exchange program of the global Ranger organisation is often an untold story of Rangers worldwide. Through the lens of award-winning filmmaker Rhys Graham, hear stories of sacrifices and strength that bind together the international Ranger family. Five Australians get on bikes to attempt cycling from Oklahoma to California over 2600kms as they taken on the westward migration undertaken by the Joad family in author John Steinback's novel The Grapes of Wrath . Tom Joad and his family are forced from their farm in the Depression-era Oklahoma Dust Bowl and set out for California along with thousands of others in search of jobs, land, and hope for a brighter future. The Australians are here to investigate if America has progressed since the book was written, discussing the wealth gap, immigration and the American dream with the fascinating people they meet along the way. The enduring strength of the human spirit shines through in this unique, funny, and insightful doco filled with adventure, literature, music and human connection.